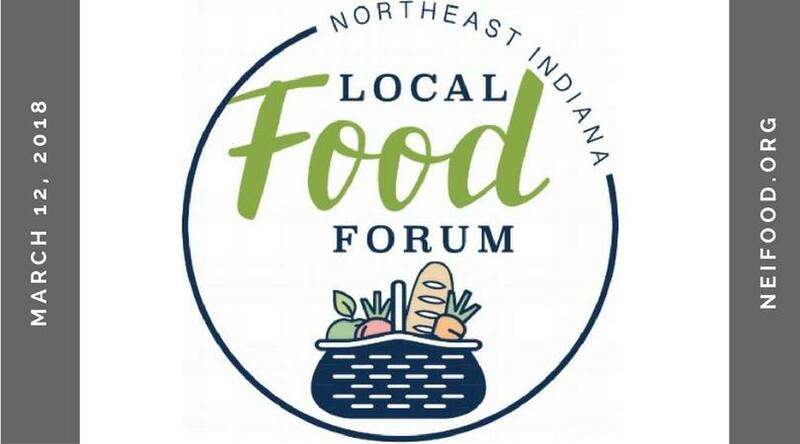 Join us for the 2018 Northeast Indiana Local Food Forum on Monday, March 12! This fun, informative and interactive event is intended to celebrate and strengthen connections within our expanding local food community. The Local Food Forum will open with a keynote address by Holly Parker from the Fair Food Network in Ann Arbor, Michigan and will be followed by a series of breakout sessions, a lunch that's locally-sourced to highlight our community, and Lightning Talks - where you’ll have the opportunity to share your ideas, news, or stories about local food through a 3-minute presentation. The Local Food Forum will conclude with an expo and social hour where attendees can sample local foods, learn more about initiatives and businesses, and mingle with local food producers, professionals and consumers. Admission to the expo and social hour can be purchased separately. See the registration page for more details.